Customize your storage and display options with this contemporary 70-inch TV stand and customizable shelving. This sturdy and generously sized stand can be easily configured to suit your space as well as your style. The open shelving provides a modern and airy look, while still offering plenty of room for all of your audio and video components to be stored neatly. You can position this stand in a number of interesting ways to actractively display your television and accessories, or as decorative shelving for additional storage in your living or family room. Finished in an elegant and neutral shade of grey, this fashionable stand will blend seamlessly with most dicor schemes. 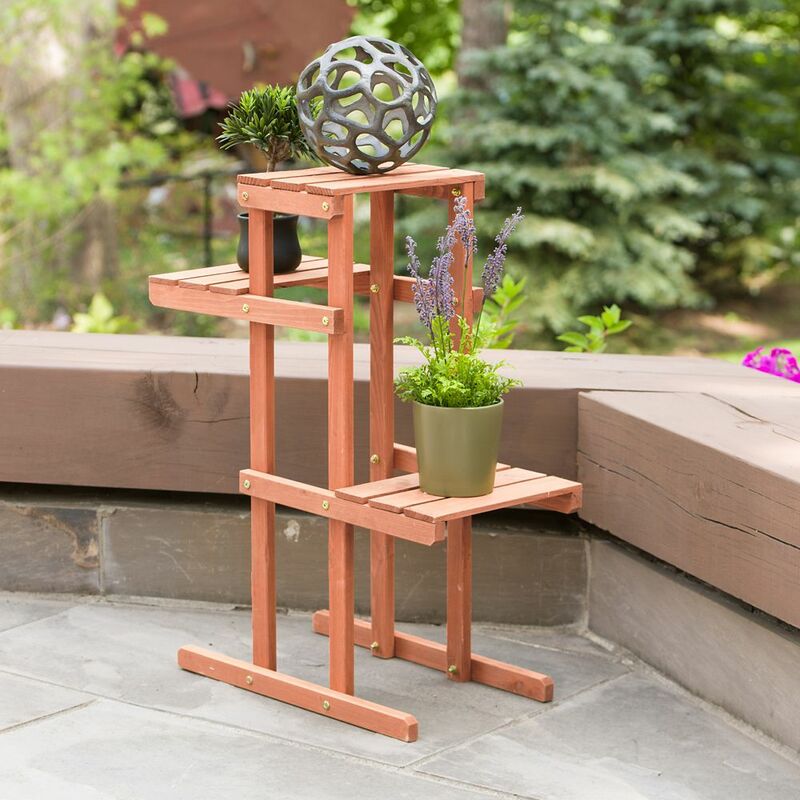 3-Tier Plant Stand 3-tier plant stand accents a small space or creates a decorative display. Great for tall and extra tall blooms. Crafted of solid wood harvested from the Cypress tree family with decay resistance similar to Western Red Cedar. Moisture resistant for maximum weather protection. Easy-to-assemble. 3-Tier Plant Stand is rated 4.0 out of 5 by 1.